Static type safety is checked at compile time. Dynamic type safety is checked at runtime. Without the checks, the values could be read from the memory as if they were of another type than they are, which would result in undefined behavior and data corruption. C# implements measures for both kinds of type safety. The two lines with comments still won’t compile. Although the type we’re trying to cast the value to has the member we’re accessing, the compiler doesn’t allow the cast because there is no cast operation defined for converting between the two types. The line marked with the comment will compile without errors, although we can see from the code that the circle variable contains a value of type Circle which can’t be cast to the Square type. The compiler does not perform the static analysis necessary to determine that the circle variable will always contain a value of type Circle. It only checks the type of the variable. Since the compiler allows downcasting from the base type (the IGeometricShape interface) to a derived type (the Square type) because it might be valid for certain values of the variable, our code will compile. Despite that, no data corruption will happen because of this invalid cast. Of course, thanks to dynamic type safety in C#, an InvalidCastException will still be thrown. This approach was taken advantage of in .NET to implement common data structures before the introduction of generics while still preserving type safety, albeit only at runtime. These data structures are still available today, although their use is discouraged in favor of their generic alternatives. ArrayList is an example of a non-generic data structure in the .NET framework. Since it doesn’t provide any type information about the values it contains, we must cast the values back to the correct type on our own before we can use them. If we cast the value to the wrong type as in the line marked with a comment, the compiler can’t detect that. The type checking will only happen at runtime. 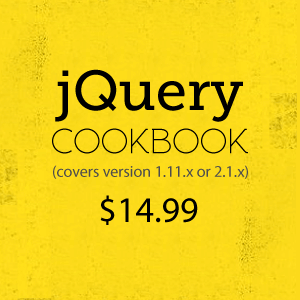 In all the examples so far, we used static binding. If the code tried to access a non-existent member of a type, it would result in a compilation error. Even when we cast a value to a different type, the compiler still performed the same checks for this new type which did not necessarily match the actual value. In contrast, with dynamic binding, the compiler does not do any type checking at compile time. It simply assumes that the code is valid, no matter which member of the type it tries to access. All checking is done at runtime when an exception is thrown if the requested member of the type does not exist. Our code could easily be defective as in the example above because type errors are not detected at compile time. Even if there are no defects in code, additional type checks are required at runtime which affects performance. Since anonymous types are declared as internal, this will only work within a single assembly. The code in different assemblies will still be able to get the value when calling the method, but any attempts to access its members will fail with a RuntimeBinderException. Like the anonymous type example from before, the Parse method returns a value which can be dynamically bound. This allows the JSON object properties to be accessed as the properties of the parsed object although the compiler could have no knowledge about them. We can pass in any JSON object at runtime and still access its properties in code. This functionality couldn’t have been implemented with anonymous types. So, how was it implemented then? There are two helper objects in the .NET framework which we can use to implement similar functionalities. While ExpandoObject can be useful in simple scenarios, it gives very little control to the code instantiating and initializing it. Consuming code always has full access to the instance and can modify it to the same extent as the code creating it. Methods are added to it in a similar way to properties, i.e. as lambdas assigned to each individual instance. There is no way to define methods at the class level and automatically make them accessible from every instance. We didn’t use the standard method name ToString this time because it wouldn’t work as expected. If we did, DynamicObject’s default ToString method would still be called. Unlike ExpandoObject, DynamicObject first tries to bind all member accesses to its own members and only if that fails, it delegates the resolution to its TryGetMember method. Since DynamicObject has its ToString method just like any other object in the .NET framework, the call will be bound to it and TryGetMember won’t be called at all. If we need a more dynamic behavior, we can still override the TryInvokeMember method. In the following example, we expose all methods of our internal dictionary without having to write specific code for each method. This gives the caller access to it, similar to what ExpandoObject does. With the methods above present in our class, we can invoke both the statically defined RemoveMember method and all the dynamically defined methods the same way, if we are using dynamic binding. Any methods not defined in our class will be delegated by TryInvokeMember method to the inner dictionary using reflection. Both the ExpandoObject and the DynamicObject implement the same IDynamicMetaObjectProvider interface to implement the underlying dynamic binding logic. To get full control over the binding process, we can do the same. However, achieving our goal by using either ExpandoObject or DynamicObject is a better option because they make our implementation much simpler. 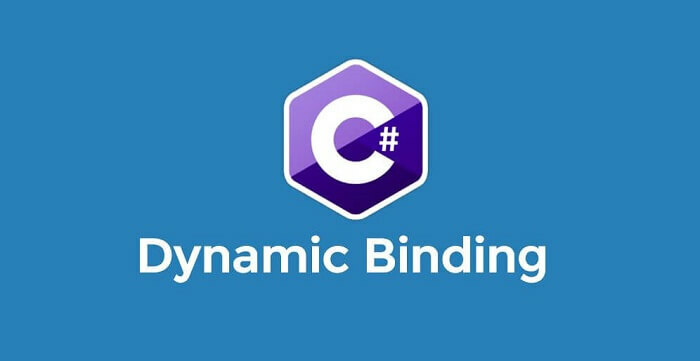 Having support for dynamic binding in C# opens some possibilities which would not be available in a strictly strong typed language. We will typically be using these possibilities when interacting with other languages and runtime environments which are more dynamically typed, or when using third-party libraries which take advantage of dynamic binding to improve usability. In certain scenarios, we might even implement some dynamically bound classes ourselves. However, we should always do our best to only use dynamic binding when this is the only or the best available approach. Although we could also use it to circumvent strong typing in other cases, we should try to avoid that because the seemingly simpler code will very probably expose us to hidden bugs which could otherwise be detected by the compiler.